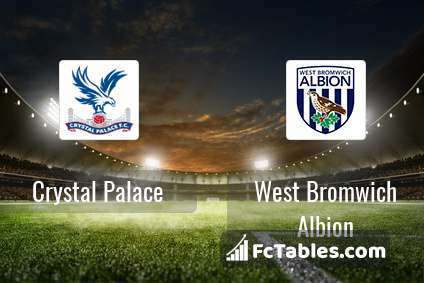 Kick off Crystal Palace-West Bromwich Albion in Premier League on today 14:00. Referee in the match will be Jon Moss. Team Crystal Palace is located in the middle of the table. (11 place). Form team looks like this: In the last 5 matches (league + cup) gain 11 points. From 5 matches no lost a match. In this season games Premier League the most goals scored players: Luka Milivojevic 10 goals, Wilfried Zaha 8 goals, James McArthur 5 goals. They will have to be well guarded by defense West Bromwich Albion. 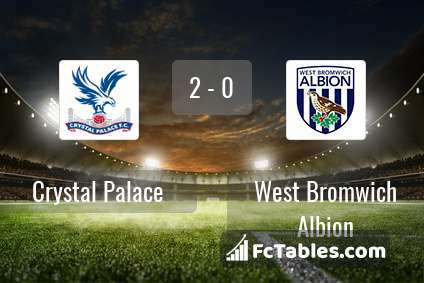 Players Luka Milivojevic 1 assists, Wilfried Zaha 3 assists, James McArthur 1 assists will have to be very well guarded by defenders West Bromwich Albion, because they have the most assists. Injured players Crystal Palace: Scott Dann, Connor Wickham, Bakary Sako, Jason Puncheon. Team West Bromwich Albion is in the releagtion zone of the table. 19 position. Last 5 games (league + cup) finished balance 11 points. West Bromwich Albion has not been defeated from 5 matches. 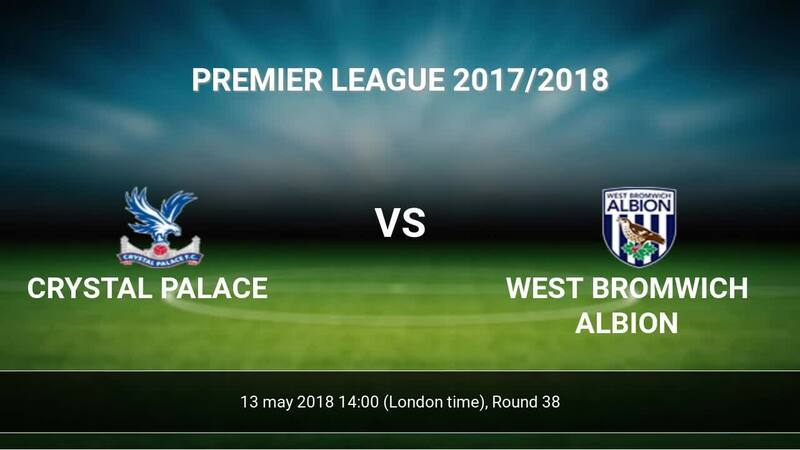 To defend Crystal Palace the most demanding players will be Jose Salomon Rondon 7 goals, Jay Rodriguez 7 goals, Jake Livermore 2 goals, because this season they scored the most goals for West Bromwich Albion of the entire composition. Most goals developed: Jose Salomon Rondon 3 assists, Jay Rodriguez 1 assists, Jake Livermore 2 assists. Injuries in the team West Bromwich Albion: James Morrison, Gareth Barry. Direct matches: West Bromwich Albion won more direct matches. 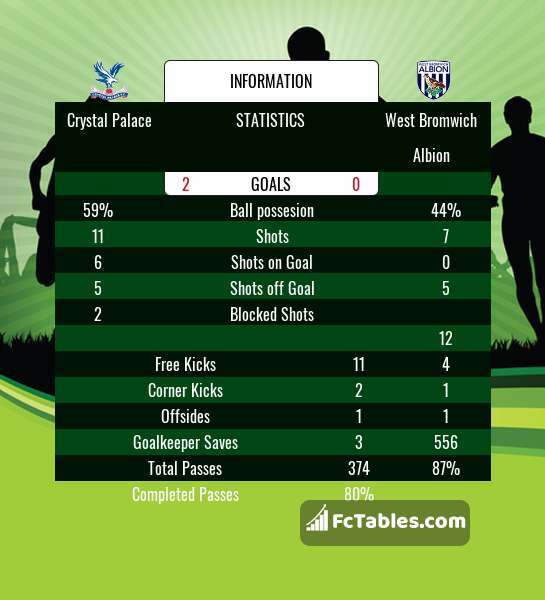 Crystal Palace won 8 matches , West Bromwich Albion won 9 direct matches, was a 8 draws. In 8 matches the sum of the goals both teams was greater than 2.5 (Over 2.5), and 20 matches teams scored more than 1.5 goals (Over 1.5). In 10 matches the both teams scored a least one goal (Both teams to score).